CITES Appendix I. Listed as Vulnerable under the Environment Protection and Biodiversity Conservation Act 1999 (Hill and Dunn 2004). 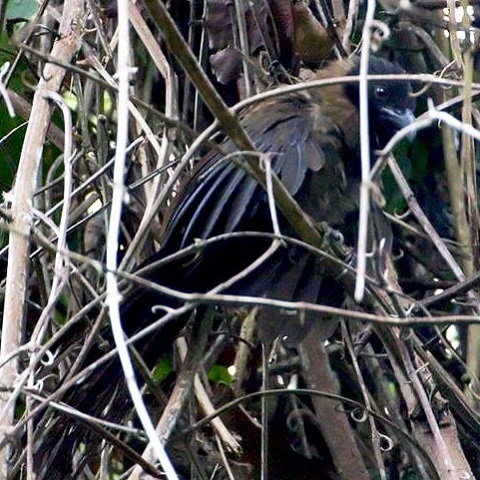 The Christmas Island National Park was established in 1980, and has since been extended to include two of the three current breeding colonies (90% of the population) (P. Green and D. O'Dowd in litt. 2003). A recovery plan has been completed (Hill and Dunn 2004) and a study using satellite telemetry and GPS loggers to study movements has been underway since 2005 (J. Hennicke in litt. 2008, 2010, Hennicke et al. 2015). A control programme for A. gracilipes was initiated after 2000 (P. Green and D. O'Dowd in litt. 2003), and plans have been established to control the scale bugs that the ants tend for their sugar secretions in order to reduce this food supply, but there remains no evidence that the ants are adversely affecting frigatebird colonies (Hennicke 2014, Hennicke in litt. 2010). A census of the breeding population on Christmas Island is currently being undertaken (Hennicke pers.comm. 2016). In 2014 and 2016, the Indonesian government had a conservation plan to assess seabird bycatch. Research the threats to the species off Christmas Island and the impact of mortality in Indonesian and Malaysian waters on the population size (Hennicke 2014, Tirtaningtyas and Hennicke 2015). 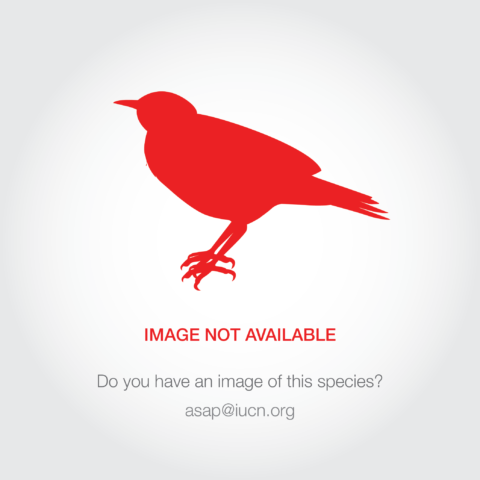 Implement the species recovery plan. Continue to control the abundance and spread of A. gracilipes. Develop and implement appropriate techniques to monitor the total/breeding population size, population structure and rate of decline (Hill and Dunn 2004, Hennicke 2014). Undertake year-round monitoring in the Jakarta Bay area (Burung Laut Indonesia 2013). Understand importance of Sunda Straits as a migration corridor for the species (Burung Laut Indonesia 2013). Assess threats to the species in both these areas and identify and protect important sites. Analyse existing data on breeding biology and success and investigate movements and habitat use. Continue tracking of adults and juveniles to identify foraging habitat and model population size and trend (Hennicke 2014, Hennicke et al. 2015). Lobby to prevent mining close to colonies. Negotiate protection of all known and potential nesting habitat and appropriate buffers. Develop and implement appropriate management in feeding habitat in South-East Asia to avoid bycatch and hunting. Maintain a quarantine barrier between Christmas Island and other lands to minimise the risks of new avian diseases establishing (Hill and Dunn 2004). This species is endemic as a breeding species to Christmas Island (to Australia), Indian Ocean. In 2003 it was estimated that there were 1,171 (± 58) breeding pairs. The number of nests was probably between 3% and 16% lower in 2003 than 1985 (one generation; 1985 estimates ranging from 1,320-1,620 pairs [Stokes 1988]), but this may not be an accurate indication of population trends. Due to biennial breeding, the total breeding population is between one and two times the number of pairs nesting per annum (i.e. 1,200-2,400 pairs). 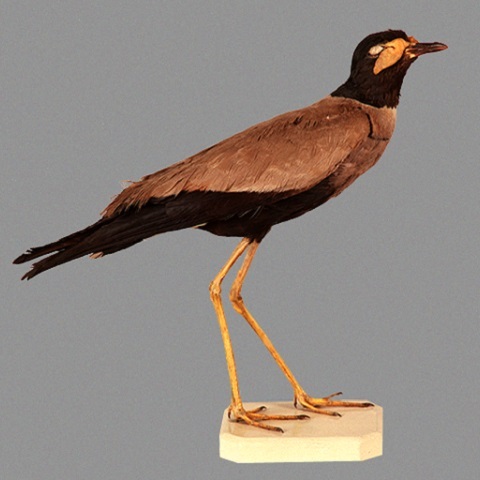 An historical review of the extent and decline of the four sub-colonies suggests that the pre-settlement population was about 6,300 breeding pairs per annum, but declined to 4,500 by 1910, 3,500 by 1945, 2,500 by 1967, and 1,500 by 1978. If this reconstruction is correct, then the population declined by about 66% over three generations between 1945 and 2003 (James 2003). Currently there are four main sub-colonies in addition to smaller clusters of nests at various locations: 'Golf Course' and 'southern outlier' on the east coast and 'Chinese Cemetery' and 'Margaret Beaches' on the northern coast (James and McAllan 2014). The Flying Fish Cove sub-colony probably contained c.50 ha of habitat in 1887; it underwent an almost complete decline in the early 1900s, and in 2003 it contained only c.10 ha of habitat and two nests. The Dryers sub-colony underwent an almost complete decline by the 1970s, and in 2003 contained c.62 ha of habitat and 20 nests, the Margaret Beaches colony may be a relocation of the Dryers and Flying Fish Cove subcolonies (James and McAllan 2014). The Golf Course sub-colony lost c.13 ha (25%) in the 1940s, and in 2003 it contained c.25 ha of habitat and an estimated 828 (± 42) nests. The Cemetery sub-colony contained 46 ha of habitat and an estimated 321 (± 15) nests in 2003 (James 2003). Surveys in 2004 showed a significant increase in number of nests, with 767 nests in 244 nest trees at the largest colony (James 2004b) but surveys in 2005 showed a return to 2003 levels, suggesting that inter-annual variation rather than population growth explains the increase in numbers in 2004. 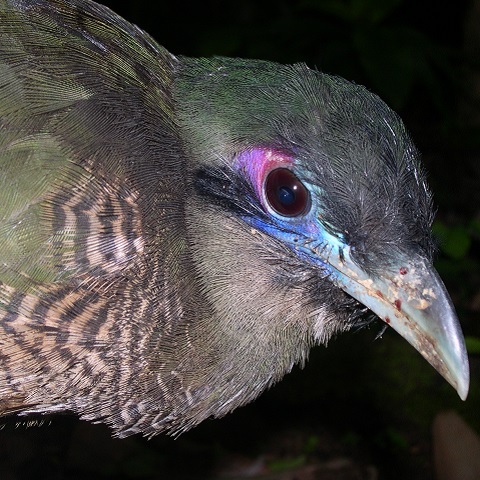 Breeding and non-breeding birds have been recorded foraging at low densities in the Indo-Malay Archipelago (James 2004a) over the Sunda Shelf to the South China Sea, the Andaman Sea, the Sulu Sea, off south-west Sulawesi, off south-west Thailand and in the Gulf of Thailand (Catterall 1997, Vromant and Chau 2007, D. James in litt. 2007, Tebb et al. 2008, Conlin 2013), commuting directly over Java in the process (James 2006, Hennicke et al. 2015). The seas around West Java, Indonesia seem to be important during the non-breeding season, especially in Jakarta Bay, where 100-200 individuals were recorded in one day (Noni 2012, Burung Laut Indonesia 2013). Pulau Rambut Wildlife Reserve (one of the island in Jakarta Bay) is a roosting site for Christmas Island and Lesser Frigatebirds (Wardhani 2011). When not breeding the species ranges widely across the seas of South-East Asia to Indochina and south to northern Australia (Stokes 1988, Hennicke et al. 2015). The species's status in the Indian Ocean to the west is generally less well known, however one individual was recorded off the coast of Kanyakumari district, southern India in 2014 (Arivanantham 2014). The most recent population census indicates a population of 2,400-4,800 mature individuals (D. James in litt. 2003), roughly equivalent to 3,600-7,200 individuals in total. A recent genetic analysis estimated the effective population size to be approximately 5,000 individuals (Morris-Pocock et al. 2012). Human persecution represents a major threat to this species due to direct targeting by fishermen in Indonesia and Malaysia (shooting, live catching, sedating and poisoning). It also suffers from accidental entanglement in fishing gear associated with the intense fishing pressure in South-East Asian waters causing slow but significant population declines (Burung Laut Indonesia 2013, Hennicke 2014, Tirtaningtyas and Hennicke 2015). Marine pollution represents another significant threat to the population (James 2006, Noni 2012). Included in the species’ range are inshore waters with high levels of contamination from heavy metals and a variety of other industrial pollutants, but the impacts of pollution on the species are currently unknown (Tirtaningtyas and Yordan 2017). Waste disposal and pollution produced by several activities (e.g. industry, recreation and sport) are potential threats, as recorded in the important foraging grounds of Jakarta Bay (Arifin 2004). Historically, large-scale habitat destruction by phosphate mining posed a severe threat to the species. Habitat clearance for phosphate mining prior to 1946 caused the loss of about a quarter of the breeding area. Further, nearby colonies (Flying Fish Cove, ‘Dryers’ site [James and McAllan 2014]) were largely deserted as a result of dust contamination from phosphate dryers. A new application to mine 250 ha of rainforest is currently under review (P. Green in litt. 2007) and future habitat loss is possible through further land clearance. There are no current mining activities near breeding sites (Hennicke 2014). Extreme weather, habitat shifts and ecosystem degradation associated with climate change poses an ongoing and future threat to the species. Demonstrated effects of increased sea surface temperatures and decreased marine productivity on the foraging of Abbott’s Boobies around Christmas Island (Hennicke and Weimerskirch 2014), suggest that the impacts of climate change are already affecting the seabird food chain in the Christmas Frigatebird’s breeding range. Another possible threat is the invasive yellow crazy ant Anoplolepis gracilipes, which formed super-colonies during the 1990s and spread rapidly to cover about 25% (3,400 ha) of Christmas Island. Control measures have so far been unable to eradicate this non-native species, but to date Frigatebirds do not appear to have been adversely affected (Hennicke 2014). However, ant super-colonies alter island ecology by killing the dominant life-form, the red crab Gecaroidea natalis, and by farming scale insects which damage the trees. This may alter the breeding habitat of the species in the medium- to long-term (Hennicke in litt. 2010). Currently, there are only four significant nesting colonies of Christmas Island Frigatebirds (James and McAllan 2014). Considerable areas of former breeding habitat have already been cleared and the species was likely more numerous prior to this loss of habitat (Hill and Dunn 2004). The low number, limited extent and reduced size of breeding areas render the species highly susceptible to stochastic events and vulnerable to further habitat loss, either through resumed mining operations, other sources of pollution or climate change.